With a wide range of hotels, cabins and B&Bs, we’ll put you up in style ... unless you’d rather pitch your tent under the stars. Americas Best Value Inn is unique with a feeling of hometown pride. The 2-Diamond AAA Americas Best Value Inn of Cookeville, TN is just minutes from the many attractions of the beautiful Upper Cumberland Plateau. Friendly staff and clean, comfortable rooms make Americas Best Value Inn a great value for the money. Convenient locations and a variety of accommodations make it ideal for families, business travelers, seniors, weekend vacationers, groups and special events. 78 Rooms, Exterior Corridors, Outdoor Pool, Continental Breakfast, Restaurant Nearby, Meeting Room, Internet Access. The Best Western Thunderbird Motel in Cookeville, Tennessee is located in the picturesque Cumberland Plateau right off Interstate 40 and Highway 111. We are located between Knoxville, Nashville and Chattanooga. 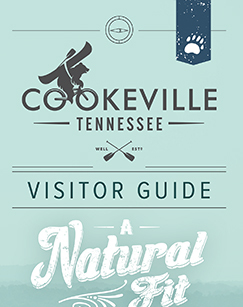 Cookeville is a short drive from four state parks as well as Center Hill Lake. We are approximately five miles from the campus of Tennessee Tech University and Cane Creek Park Sports Complex. We are conveniently located near malls, shopping plazas and the shops in the historic west-end district of Cookeville. Restaurants for every taste nearby, including El Tapatio Mexican Restaurant, adjacent to our motel. 76 Rooms, Exterior Corridors, Outdoor Pool, Handicap Rooms, Continental Breakfast, Pet Friendly (fee), Exercise Room, Restaurant Nearby, Meeting Room, Internet Access. Located atop the beautiful and historic Cumberland Plateau, the newly constructed Bethel Inn & Suites is the quiet motel nestled in a quiet town and is the perfect starting point for exploring the entire Upper Cumberland region. Whether your traveling for business, pleasure, or that special golf weekend, the Bethel Inn & Suites commitment is to provide superior value and service in an upscale enviroment and is setting the new standard for affordable interstate lodging. The Comfort Inn & Suites® hotel is ideally located in Putnam County, with easy access to Interstate 40. This Cookeville, TN hotel is convenient to beautiful nearby attractions, including Burgess Falls State Park, Cumberland Caverns and Center Hill Dam. The Tennessee Technological University is six miles from the hotel. 60 Rooms, Interior Corridor, Indoor Pool, Handicap Rooms, Continental Breakfast, Exercise Room, Meeting Room, Internet Access. Superior hotel features and amenities include: Free deluxe breakfast bar Free wireless high-speed Internet access Free weekday newspaper Indoor pool, hot tub and sauna Exercise room Guests will also enjoy free fresh-baked cookies, cappuccino and coffee, served Monday through Friday evenings. From check-in to check out, this Cookeville, TN hotel caters to the busy business traveler. Business travelers will appreciate conveniences like data port telephones, access to copy and fax services and a business center with a computer with Internet access. For all meeting needs, the well-appointed conference room, which accommodates up to 15 people, is complete with state-of-the-art audio/visual equipment. All guest rooms include coffee makers, irons, ironing boards, hair dryers, microwaves and refrigerators. Executive Suites include ample workspace. Handicap accessible rooms are also available. Laundry facilities are located on the property for guest convenience. Five stories of 100 rooms and suites boasting a full, hot breakfast bar buffet, interior corridors, WIFI throughout, Business and Fitness Center, complimentary USA Today, near TTU, Sportsplex and "Restaurant Row" . Newly Renovated! Days Inn Cookeville, TN offers comfort, hospitality, location and value you can depend on. At Days Inn you can count on a satisfying stay at an affordable price. With convenient extras that save time and money, there is no reason to wonder why our numbers are growing and our satisfaction rates excel at a fantastic rate. We hope to see you in Cookeville at the Days Inn soon! 94 Rooms, Exterior Corridors, Outdoor Pool, Handicap Rooms, Continental Breakfast, Pet Friendly (fee), Exercise Room, Internet Access. THE NEW FAIRFIELD INN & SUITES COOKEVILLE. Cookeville's Premiere Hotel is certain to please any traveler with amenities that include high-speed internet access & free breakfast. Conveniently located at Sam's Club & close to Tennessee Tech University, Averitt, Flexial, Oreck, UPS, REI, Cummins & Cane Creek Park & Sportsplex. Each guest room includes coffeemaker, two dual-line phones with voicemail, data ports & 32 inch flat screen TV's with HBO, large work desk with desk-level outlets & ergonomic chair. Our studio suite rooms have a hospitality center with minifridge and microwave, & also include The "Entertainment Wall," housing a 32-inch flat screen TV and CD/radio music system. The Fairfield Inn & Suites has a 24-hour business center and Lobby Market with a selection of food, snacks and drinks. Close to many delicious restaurants including O'Charley's, Olive Garden, and Cheddars & towns such as Carthage, Monterey and Sparta in Upper Cumberland. Conveniently Located Off Interstate 40 & US 111. Burgess Falls State Park Eight Miles From Knights Inn. Restaurant Next Door Several Others Within 1 Mile. Complimentary continental breakfast. 109 Rooms, Exterior Corridors, Handicap Rooms, Outdoor Pool, Continental Breakfast, Pet Friendly (fee), Internet Access. The Hampton Inn Cookeville hotel is located off Tennessee interstate 40, at Exit 287. Our hotel is located one mile from Cookeville Mall, three miles from Tennessee Tech University, and four miles from Ironwood Golf Course. Within one mile, guests of the Hampton Inn Cookeville can dine at Applebee's, Cracker Barrel, Pizza Hut, or Red Lobster. Interior Corridors, Outdoor Pool, Handicap Rooms, Continental Breakfast, Pet Friendly (fee), Exercise Room, Meeting Room, Internet Access. At Holiday Inn Express you’ll find comfortable, inviting accommodations with just the right mix of services and amenities all at very affordable rates. 93 Rooms, Interior Corridors, Outdoor Pool, Handicap Rooms, Continental Breakfast, Exercise Room, Meeting Room, Internet Access. Key West Inn - Cookeville offers the latest in hotel style and amenities to make your Cookeville vacation or business trip a success. Conveniently located just off of I-40, you will find the hotel is close to everything you need. Modeled after historic buildings in Key West, Florida, each Key West Inn features a Victorian-style exterior, complete with shutters, gingerbread trim and a balustrade running along the balcony, which also serves as the corridor to rooms. 42 Rooms, Exterior Corridors, Handicap Rooms, Continental Breakfast, Pet Friendly (fee), Internet Access. With its charming décor and comfortable amenities, the Cookeville Hotel, conveniently located halfway between Nashville and Knoxville, provides a warm and welcoming atmosphere sure to please business and leisure travelers alike. Each of the spacious guest rooms and suites at the Cookeville Hotel features a cozy country-style décor that makes guests feel right at home. 66 Rooms, Interior Corridors, Outdoor Pool, Handicap Rooms, Continental Breakfast, Exercise Room, Meeting Room, Internet Access. Travelers on I-40 will find a gemstone nestled between Knoxville and Nashville. Motel 6 is conveniently located off I-40, exit 287, a few minutes away from all major restaurants, ball fields, shopping areas and Tennessee Tech. Our newly oversized remodeled rooms have all the amenities needed to make your stay a comfortable one. We would like you to experience the best service and true lodging available in Cookeville. 65 Rooms, Exterior Corridors, Outdoor Pool, Handicap Rooms, Continental Breakfast, Pet Friendly (fee), Internet Access. The only full-service hotel centrally located between Nashville and Knoxville, less than three miles from Tennessee Technological University. Located minutes from points of interest like Burgess Falls State Park, Cumberland Caverns, the Cookeville Depot Museum and Cumberland County Playhouse. Business travelers will appreciate conveniences like a public computer with Internet access, a business center, and access to copy and fax services. The banquet and meeting rooms accommodate up to 390 people for most events and business functions. Catering is available; please ask the hotel for more details. 147 Rooms, Interior Corridors, Indoor/Outdoor Pool, Handicap Rooms, Continental Breakfast, Pet Friendly (fee), Exercise Room, Meeting Room, Internet Access. Conveniently located off Interstate 40 at exit 287, behind Wendy's and across from Cracker Barrel. Tennessee Technical University is 3 miles and major restaurants are within walking distance. 52 Rooms, Exterior Corridors, Outdoor Pool, Handicap Rooms, Continental Breakfast, Internet Access. Southern hospitality with a northern touch, Star Motor Inn offers good rates year round. 79 Rooms, Exterior Corridors, On Site Restaurant, Handicap Rooms, Meeting Room, Internet Access. Belle Ridge Retreat, located "Where the Hilltops Kiss the Sky," near the charming smalltown of Monterey, offers day use and overnight amenities for the outdoor lover. This scenic destination offers miles of ATV and hiking trails, ample camping options including full RV hookups, cabins, and tent camping. The Saltbox Inn, located in a quiet country setting, offers four suites for lodging, two on each the first and second floors. All suites have ceiling fans, private baths, independent climate control, cable TV, DVD players, and WIFI. We can even accommodate large animal overnight boarding. Exterior amenities include a large pool (hot tub during winter months), patios, arbor, pavilion, flower gardens, and spacious lawns. Two of the three suites offer deck/patios, views of the pool, and private entrances. The grounds of The Garden Inn, an elegant Middle Tennessee B&B at Bee Rock in Monterey TN, which are nearby to Cookeville and Crossville; include tall trees, natural rock formations, stone bridges, caves, and breathtaking bluffs. The towering Bee Rock overlook offers a spectacular panoramic view of Calfkiller Valley and Stamps Hollow below. Guests may select from a choice of eleven rooms, each furnished with handcrafted solid cherry or walnut antique reproduction furniture. All guestrooms have queen-sized beds and immaculately clean private in-room baths. Two guestrooms have gas fireplaces and three guestrooms are equipped with spacious whirlpool tubs. Three of our guestrooms have an additional twin bed. With fifteen acres of woods, sandstone bluffs, and cool mountain breezes, the Inn is perfect for that spring, summer or fall outdoor wedding. The Garden Inn also welcomes family reunions, receptions, garden & dinner parties, corporate meetings & retreats, and church get-a-ways. Old Mill Camp, located directly across from Cummins Falls State Park, is open seasonally, March through October. RV sites with full hook-up and tent sites with "Rent-A-Tent" options. Feel taken back in time when you step inside the general store which offers antiques, boutique items, soda pop, cold-cut sandwiches, hand-scooped ice cream, and Cummins Falls memorabilia. For more info contact Old Mill Camp at 931-265-9495, 931-268-0045, or email oldmillcamp@gmail.com. This venue has full hookup RV sites, a camping/tent area, a kiddie lake and catering services. Our RV Campground is available 7 days a week. RV reservations can be made in advance, but will require 50 percent of payment upfront. There are currently have over 30 lots including pull-through lots. Come see us and stay as long as you like! We also have a full restaurant with a seating capacity of 50-60 with real dishes and tables. No fishing license is required to fish at this venue.